Dog rescue! It is my passion, my calling in life. I’ve always known that I a) wanted to work with animals, b) wanted to change the world to be a better place, and c) make a living by society’s standards in a form that makes me happy by my own standards. Dog rescue is all of that for me. 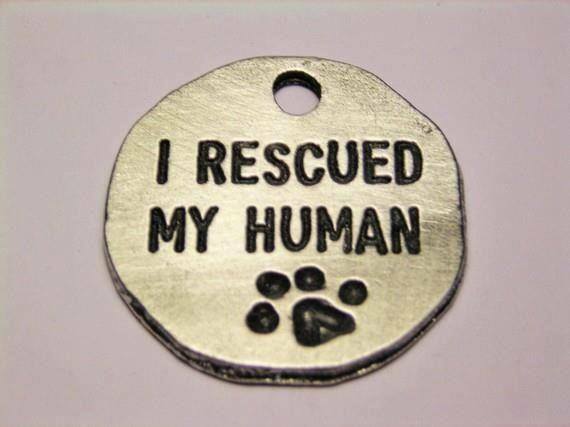 I currently have 7 rescue dogs and 2 rescue cats at home. I was volunteering once a week, if not twice, at the local dog rescue – Meade Canine Rescue – and was getting a lot of different people to join me every week. I hosted my own fundraiser for Meade in May and raised over $300 for the rescue. I am currently working on my own Dog Blog – http://www.vickis-village.tumblr.com – which just hit 100 Followers, so I am doing a Giveaway! I am continuously trying to inform, educate and get others involved with the welfare of our animal companions. Sometimes it proves harder than I wish, and I can become very morose and discouraged by people’s actions and words, but I have not given up. I will continue to fight, because giving up is not an option. Since becoming involved in dog rescue through Facebook and the Crossposting community, thanks to Meade supporter, Julie Anderson, I have evolved into a better person than who I was 2 years ago, or ever a year ago. Dog rescue has made compassion take over my whole body, heart and soul. I feel so deeply now, and I think of others with more kindness, empathy and finesse; I am not so harsh to judge or to condemn others. It has shown me what great changes can happen when you stop speaking, and start acting. I have learned to be more of a caring and active person all around, and I owe it solely to the dogs and their journeys. I am going to live my life to make the lives of the innocent animals around me, better. If you can’t donate – Educate. Network. Cross-Post. Everyone can do something to help save a life.